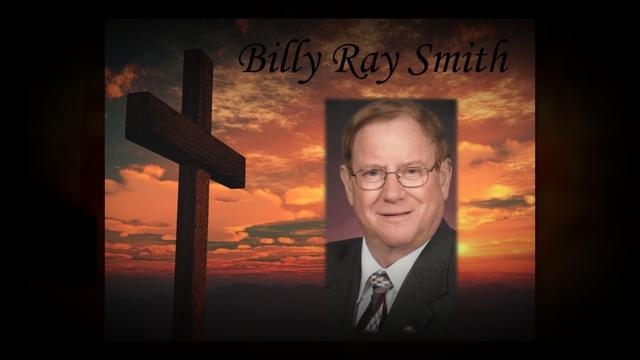 Billy Ray Smith passed away Saturday, November 24, 2018 at Fieldstone Place. A Celebration of Life will be held 3 p.m. Wednesday, November 28, 2018 at McReynolds-Nave & Larson Chapel with Rev. Jerry Harwell officiating. Burial will follow at Greenwood Cemetery. He was born July 12, 1935 in Stewart County, TN. to Virlon Smith and Ellie Tigart Smith. He was preceded in death by a brother, James Armstrong (Mary) of Toledo. Billy is survived by his wife Sue Ann Smith and many nieces and nephews. October 24, 1959 Billy married Sue Ann Broadbent at Blooming Grove Baptist Church, by Bud Bowmen. They celebrated 59 years of marriage on October 24th of this year. He was a charter member of Hillcrest Baptist Church, Clarksville. He was a 50 year member of Clarksville Masonic Lodge 761, A Shriner, and past patron of the order of the Eastern Star. Billy worked and retired from Civil Service at Fort Campbell, KY.
Nephews will serve as Honorary Pallbearers. Memorials can be made to a charity of your choice. To send flowers in memory of Billy Ray Smith, please visit our Heartfelt Sympathies Store. A Masonic Service will follow Tuesday nights visitation at 7 p.m.